Don’t strain your neck. G533 is designed to be a durable, yet lightweight headset. 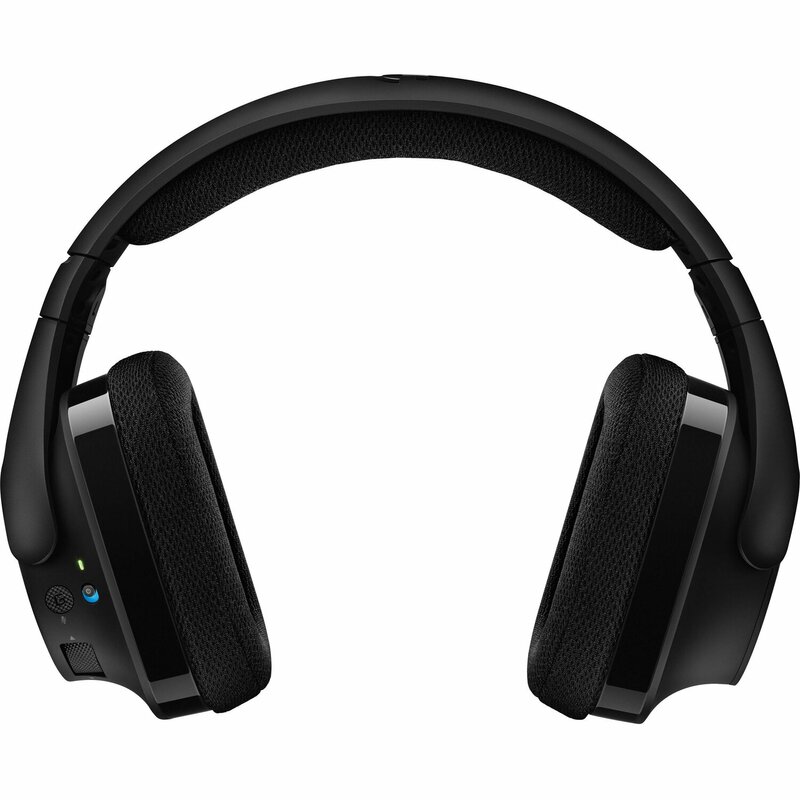 Its over-the-ear design is comfortable for long gaming sessions, while sports-mesh ear pads are breathable and can be removed for cleaning. 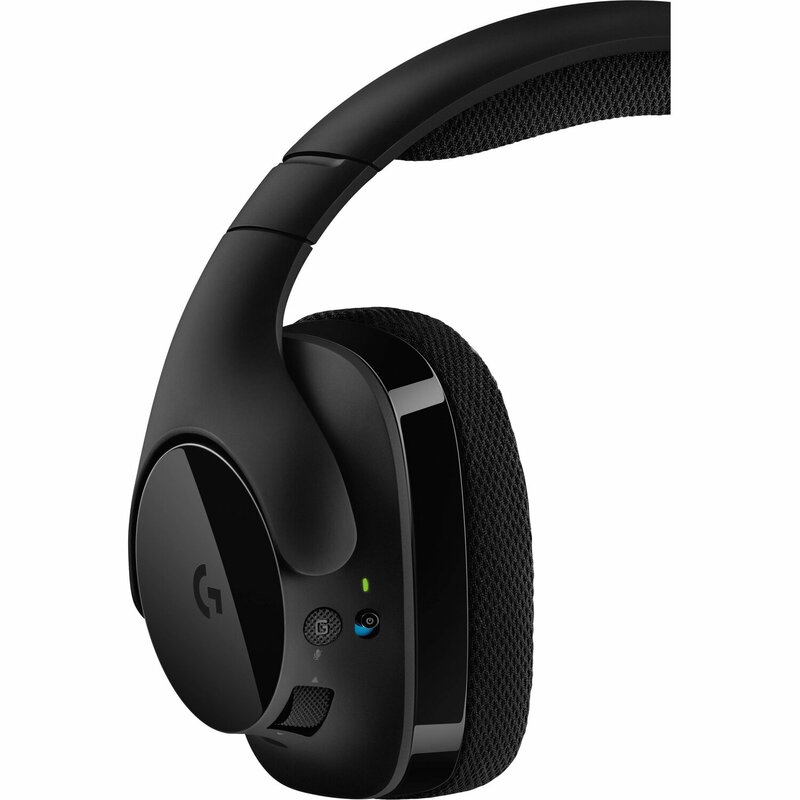 The rechargeable, replaceable battery in G533 Wireless Gaming Headset powers the headset for marathon gaming sessions. G533 features a noise-cancelling microphone on a folding extending boom, easy-to-reach volume control roller and mic mute button. 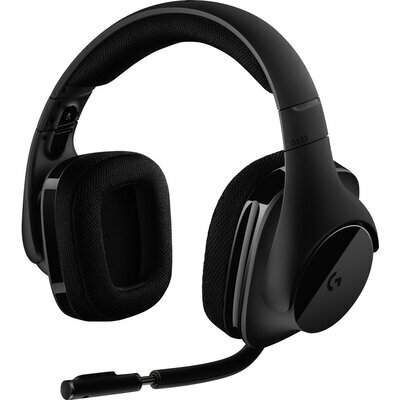 Use Logitech Gaming Software to set equaliser, surround sound, sidetone and microphone levels globally or on a per-game basis. * *Profile settings require Logitech Gaming Software.